Listening just got even more hands-off. Spreaker is proud to introduce yet another way of engaging with its catalog of podcasts: a new Amazon Alexa skill for Echo..
You read that right: listeners are using these tools to search, browse, and listen in to podcasts. And the rising popularity of smart speakers pairs itself extremely well with Edison Research and Triton Digital’s recent data showing that the home is where podcasters are tuning in the most. To prove this point: 50% of listeners tune into podcasts at home, more than any other location. And having podcasts on while you’re cooking, cleaning, or just plain relaxing has made them an intimate part of our daily routines, providing moments of entertainment and comfort whether we’re with friends or alone. The difference now is that smart speakers offer a more seamless experience between it all. And as this new pathway to content unfurls before us, we at Spreaker knew we couldn’t let the opportunity just pass by. We’ve added Spreaker’s catalog of podcasts to all Amazon Alexa devices (only English-language podcasts for now, due to some Amazon Echo limitations, but we hope to get everyone else in on it soon! ), as well as Spreaker-specific commands your listeners can use to play, search, and take control of their listening experience. With Amazon Alexa, together with automatic sharing to social media networks and syndication with Apple Podcasts, Google Play, iHeartRadio, and SONOS, you’re getting open use of every distribution channel out there. First, your listeners will have to add this “skill” to their Alexa device from the Amazon Store, which they can do at the URL here. They can execute a number of actions, too, like pause, resume, skip, and more, by using the right phrases. And plays coming through on Amazon Alexa devices will still be trackable for you. You can find those stats in the CMS’s statistics page, under both “Sources” and “Devices”. Become an unmissable part of your listeners’ days with the easy accessibility of Amazon Alexa devices. With Spreaker’s new skill, simple voice activation can have your podcast up and playing at command—literally. 5) Launch 1-2 weeks later, can take a month or more to pull together. Rob, Alex and Jay together on a future show! 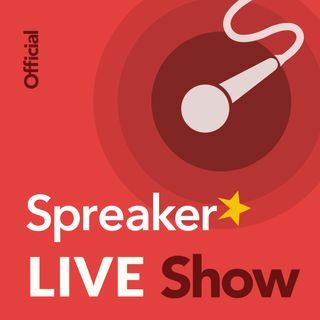 Spreaker on road trips! Looking forward to it! I meant being able to listen to Spreaker through our vehicle radio on road trips. "Awesome Insanity Surfers" unknown. Two and a half months before we started on Spreaker, started a web site, made a Facebook page, made a Twitter account, set up SoundCloud account, and gave samples of comedy we had already recorded put to video to put on You Tube, and then shared all of those links to my personal Facebook and Twitter to get it noticed and direct people to our social media in expectation of the twice weekly shows. When I first upgraded from Windows 7 to Windows 10, I tried Cortana. She was about 50-50 on accuracy for what I was asking. I also do not listen to AM, FM, Sirius/XM, at home either, only in the vehicle. I'm thinking about starting a second show, and I'm considering doing a pre-launch. Just do what you can, because it could help. How do these tips that you've given differ for Indie podcasters? While the pre-launch sounds awesome, like Alex pointed out, it's a very expensive and time-consuming for an indie podcaster. Agree Tamara. It is still early days for these smart speaker devices. Honestly, overall Alexa has a long way to go as a device. Goggle assistant is much smarter and intuitive. Regardless, the new Spreaker skill is great. I'm excited about this Amazon skill. I've already activated it on mines. Thank you for listening Live Today.